Kalerkantho Eid 2016 special magazine free ebook pdf. 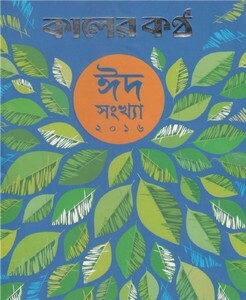 Kalerkantho is a literature and entertainment related Bangla magazine which is published from Dhaka, Bangladesh and the patrika edited by leading writer Imdadul Haque Milon. This special Eid edition's cover stories are Articles, memoirs, novels by various newish authors, detective novel, Sci-Fi, Translated story, humorous, stories, recipe, fashion, beauty, poems etc. The patrika has 343 pages, 28mb high quality pdf file.